I can’t believe it’s been a little over two weeks since our dreamy getaway to Harbour Island, Bahamas. I’m excited to see that many of you guys are curious to learn more about where we stayed and our experiences there. Hopefully this weeks series of posts will help answer any questions you have and inspire your next travel destination. Up first is my review of Harbor Islands, Bahama House Hotel. 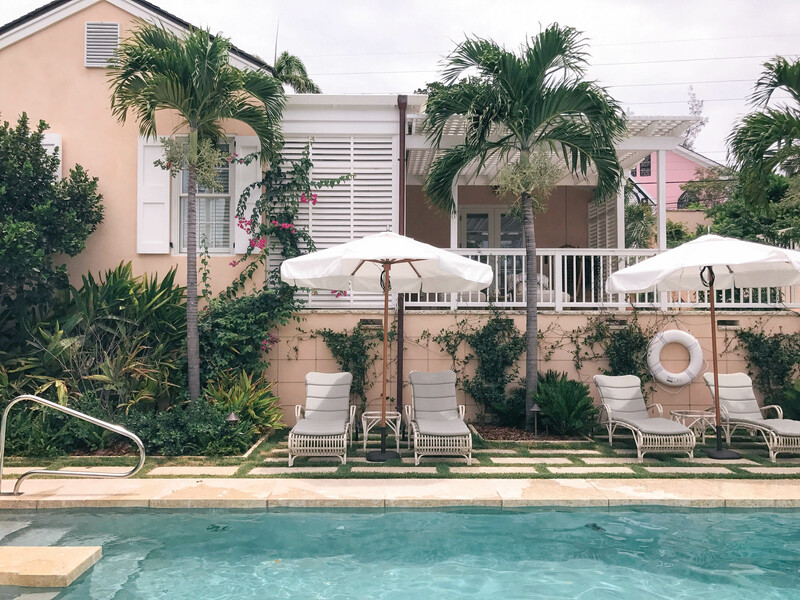 In need of some rest and uninterrupted time together, Justin and I made a rather last minute decision to book a warm weather getaway to Harbour Island, Bahamas. 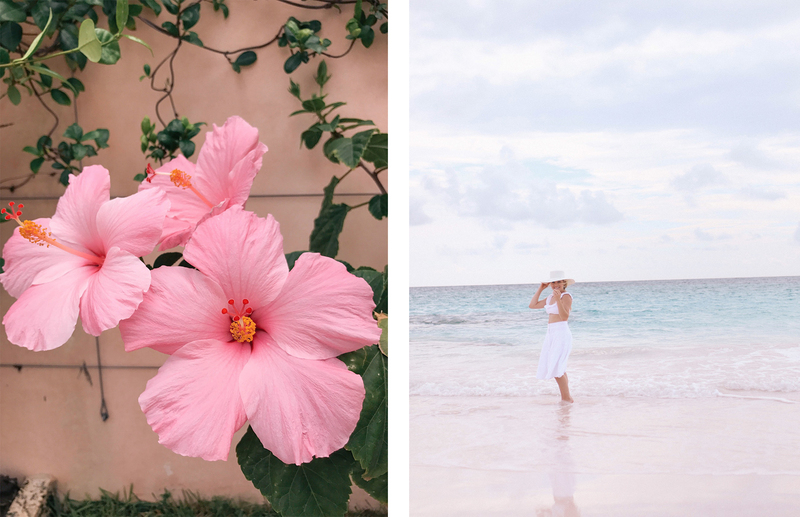 This tropical utopia, best known for its pastel-painted houses, turquoise waters and pink sand beaches, had topped our travel bucket list for some time. So provided that travel is relatively easy from the East Coast, we decided it was the perfect place to sneak away. For the first few days of our trip we stayed at Eleven Experience’s, Bahama House. We learned of the newly opened property after having considered staying at its sister “hideout” in Colorado last December. Luckily, the Bahamas House rates were reasonable for our desired dates. So we decided to see what this island and property group were all about. 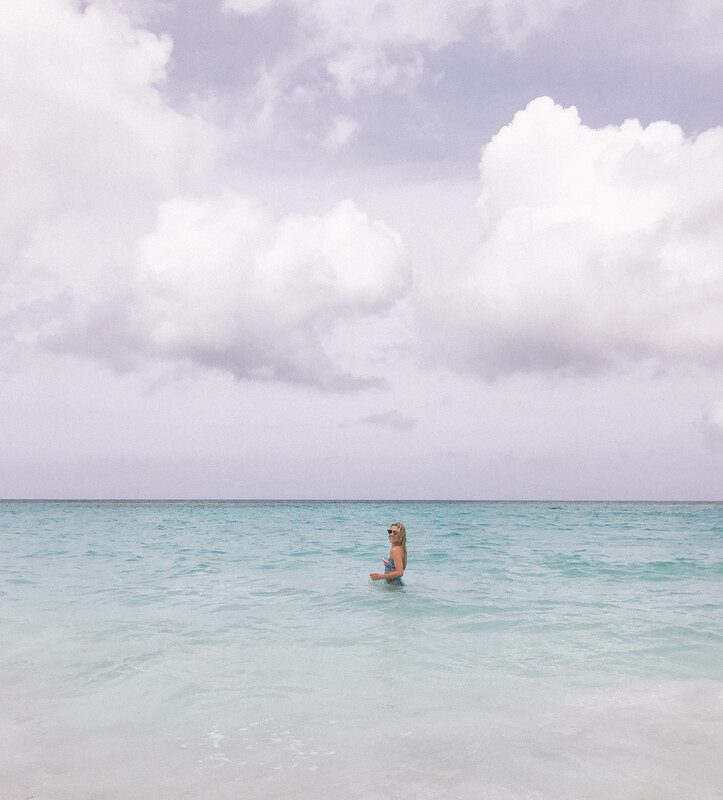 After realizing that Fort Lauderdale offered direct flights to North Eleuthera (the closest airport to Harbour Island), Justin and I decided to detour our plans and take a spontaneous road trip to Palm Beach, Florida. We spent a few days there prior to leaving for the Bahama’s. 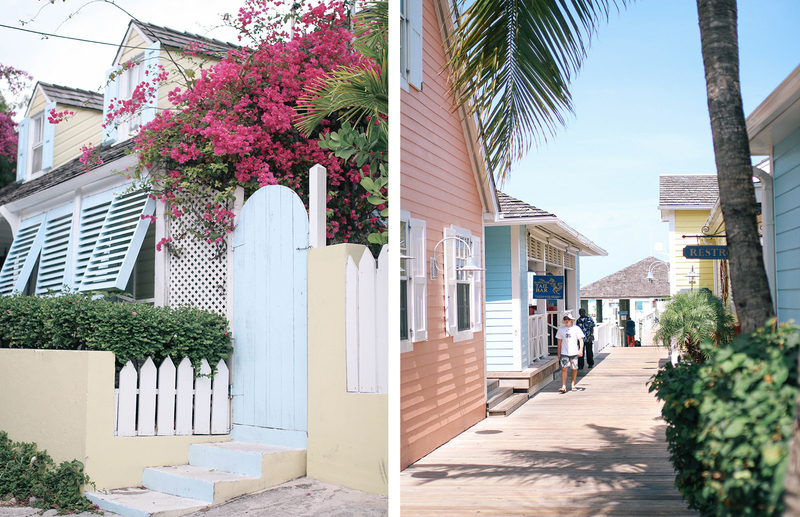 We caught an early morning flight to North Eleuthera and as one would expect the airport was very small and quaint. 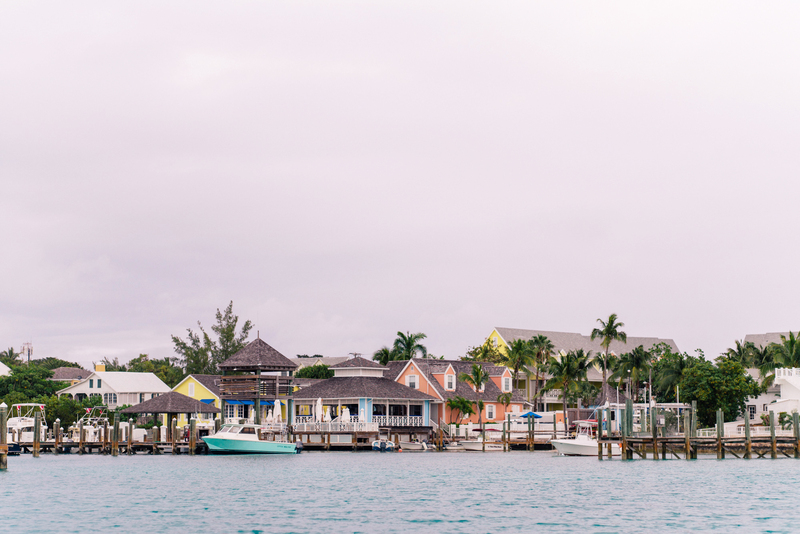 Once there, we took a ten-minute taxi ride to the main dock, followed by a five minute boat ride to Harbour Island. (Side note: Unlike traditional island travel, transportation to and from the North Eleuthera airport is a safe and easy process. It certainly doesn’t require any prior planning. Land ($5) and water taxi’s ($7) are always available throughout the day! Due to poor planning on our part, we let the property make these arrangements for us ($150) and later felt that was an unnecessary expense). 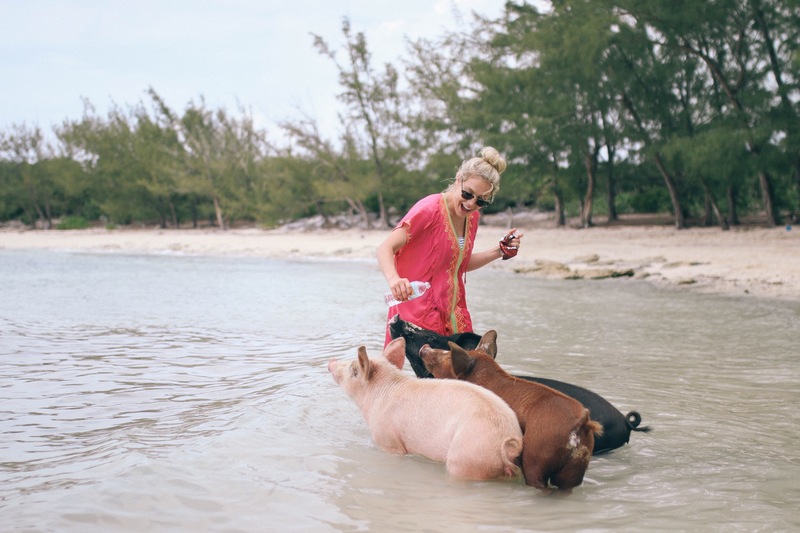 When we arrived at the islands main dock, we were greeted by Giorgia, ‘experience manager’ for the Bahama House. 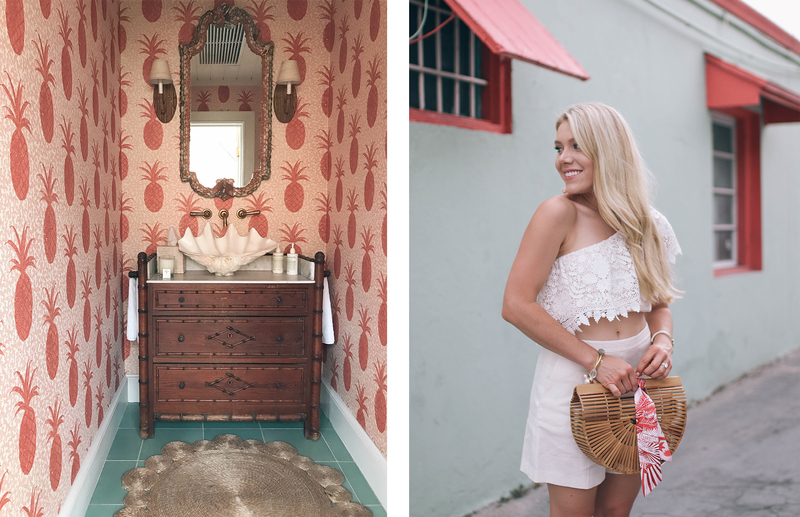 Dressed in board shorts and flip flops with sun-kissed skin, she’s the cooler version of a concierge! She and I spoke several times over the phone to arrange an itinerary for our short stay at the property, so it was great to finally meet in person. Upon arrival, we were immediately blown away by the properties design! 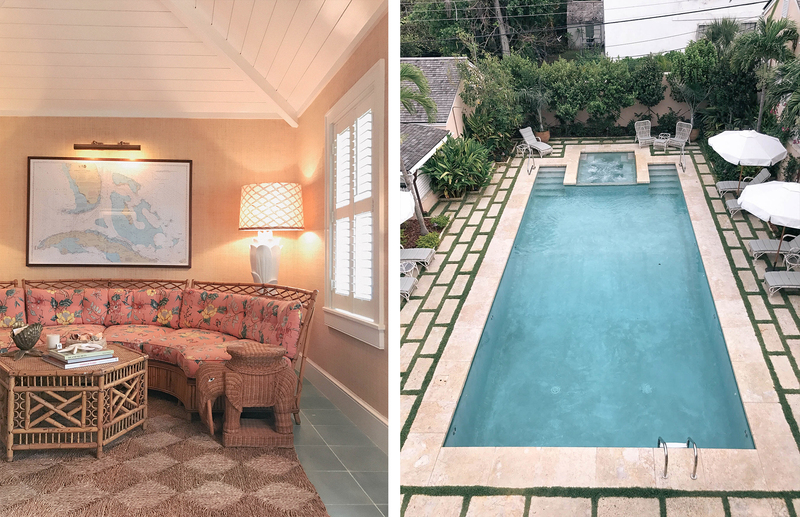 With just 11 rooms and a maximum occupancy of 22 guests, the Bahamas House feels more like a stylish friend’s vacation home than a proper hotel. This Eleven Experience property is located in the heart of the 3 1/2 mile long island and within the courtyard of its compound houses a freshwater pool, handcrafted tiki bar and the most unreal landscaping! 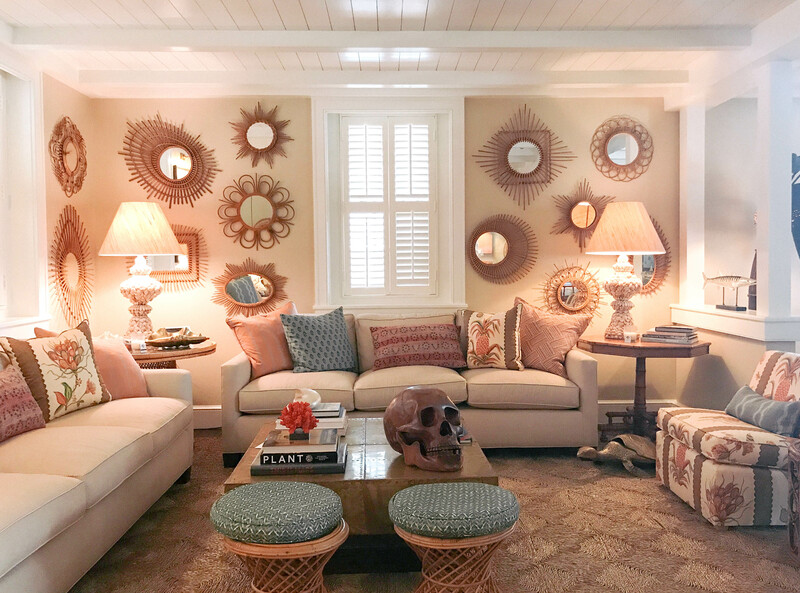 It is truly a design-lovers paradise full of unique furnishings – wicker elephant side tables, palm tree floor lamps, vintage rattan dinning sets and stunning shell art decor – that together created an ambiance that was all part of the experience. After familiarizing ourselves with the property, we took the golf cart out for a spin to explore the island. 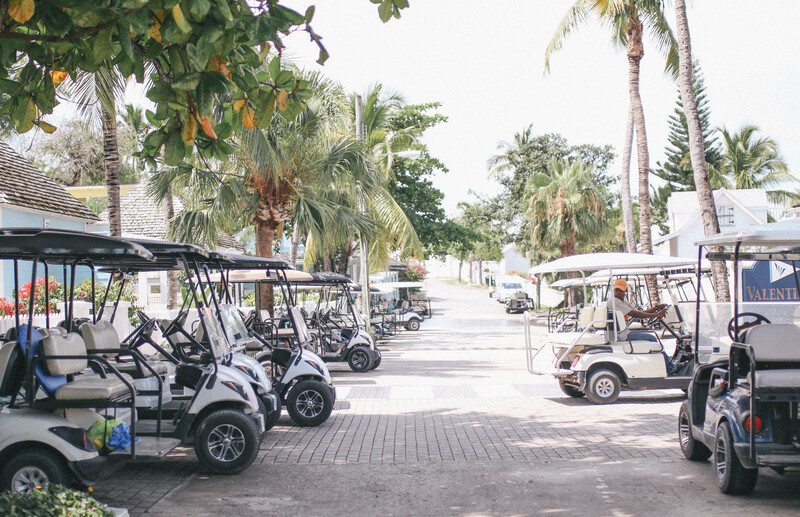 (Side note: a golf cart is a must for getting around the island, and should be booked as soon as hotel accommodations are reserved). Driving around in the golf cart, I felt like a kid again. 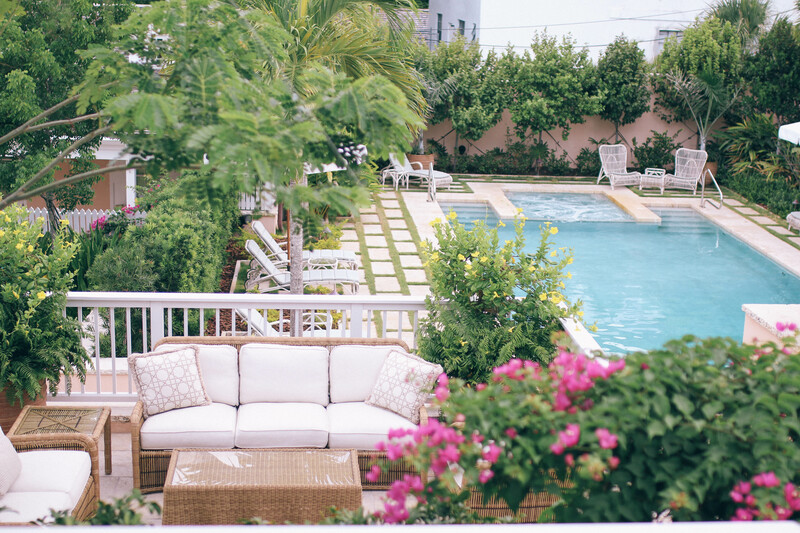 The simplicity of it reminded me of summers with my family at Ocean Isle Beach, and having the freedom to go and come as we pleased made the experience feel more like a home away home. While guests of the Bahama House, Justin and I celebrated our one year anniversary, which fell on a Sunday this year. 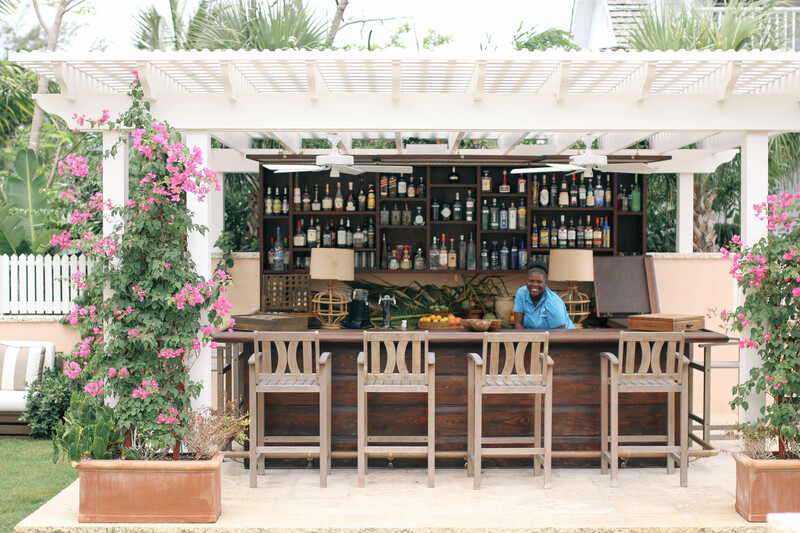 Ironically, every Sunday on Harbour Island many locals and seasonal homeowners head down to Romora Bay to listen to live music and drink the islands notorious ‘Goombay Smash’. Like, did you even go to Harbour Island, if you didn’t have a taste of ‘Goombay Smash’, ha? As a little prelude to our evening, and in fear of missing out, we drove the cart down to Romora Bay for a taste of local life. Later that evening we returned to Bahama House where in-house Executive Chef Nikoya (Niki) prepared a private dinner in celebration of our Anniversary. She makes a mean French pastry too! 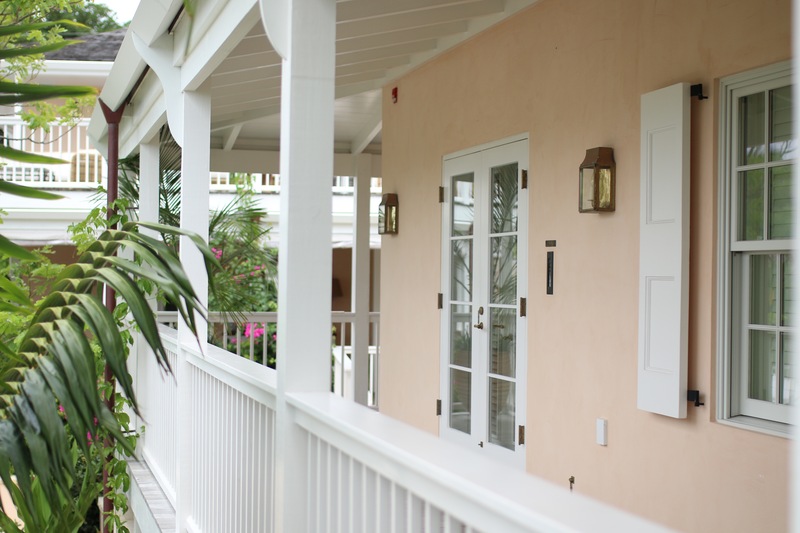 Speaking of pastry, every morning the Bahama House prepares and serves the most delicious spread of delicate pastries, fresh fruit and a hearty breakfast made from locally grown ingredients. It was hands down our favorite meal of the day! (Side note: for those of you who have asked, the Bahama House is a private inn – bed and breakfast – that doesn’t accommodate outside guests). 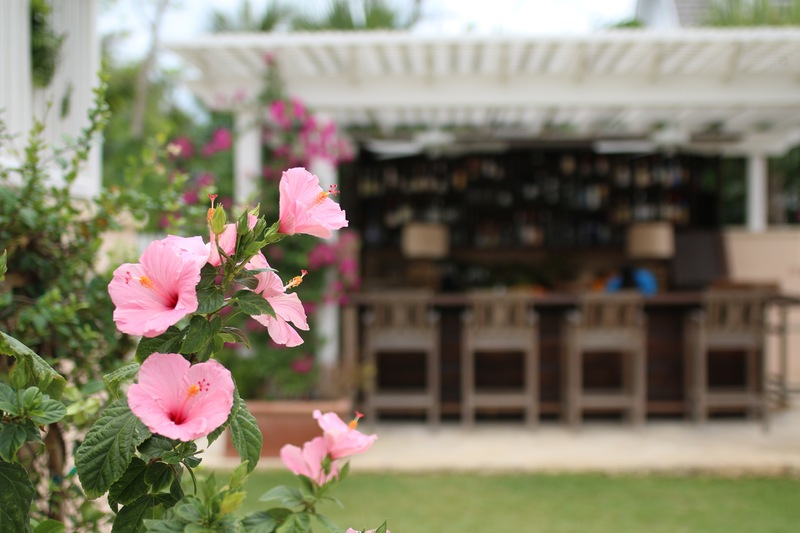 If we weren’t hanging out by the pool or at the tiki bar playing scrabble with Sam – the properties bartender, waiter and local expert – you could find us relaxing on the beach (a quick bicycle or golf cart ride from the property). Each day the staff sets up a charming spot on Pink Sand Beach with wooden chairs, boogie boards and coolers of Kalik beer (local to the island). It may be hard to see in photos, but the sand certainly had vibrant traces of pink that were especially gorgeous against the pastel sunsets in the evening! If you seek adventure, Giorgia will gladly arrange day tours and water activities for you to enjoy. Who Should Go: Design-lovers and relaxed families and couples looking for a boutique hotel on a quietly chic island with a real sense of place. Who Shouldn’t Go: Anyone who prefers staying at a property with direct beach access. Each day they set up an area on Pink Sand Beach that is a short dive away. When to Go: February through late May are most ideal as the weather is more consistent. 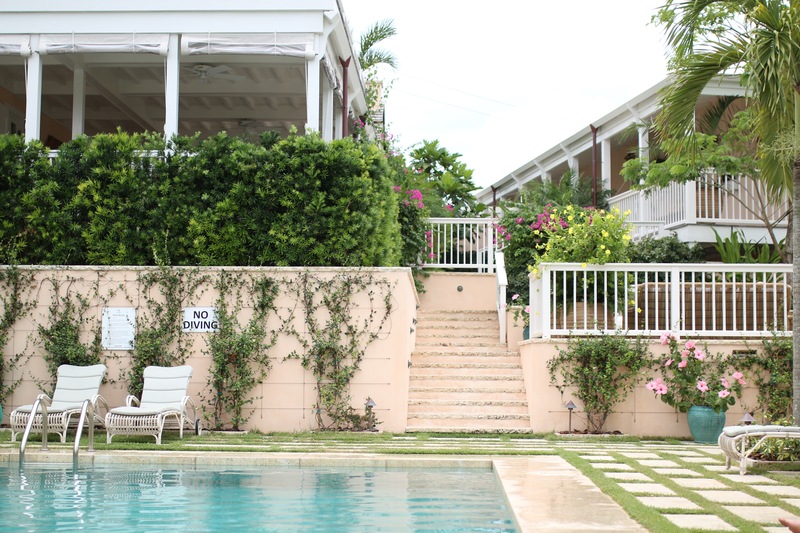 The months of August, September and October are the island’s off-season, so the property closes during those months. 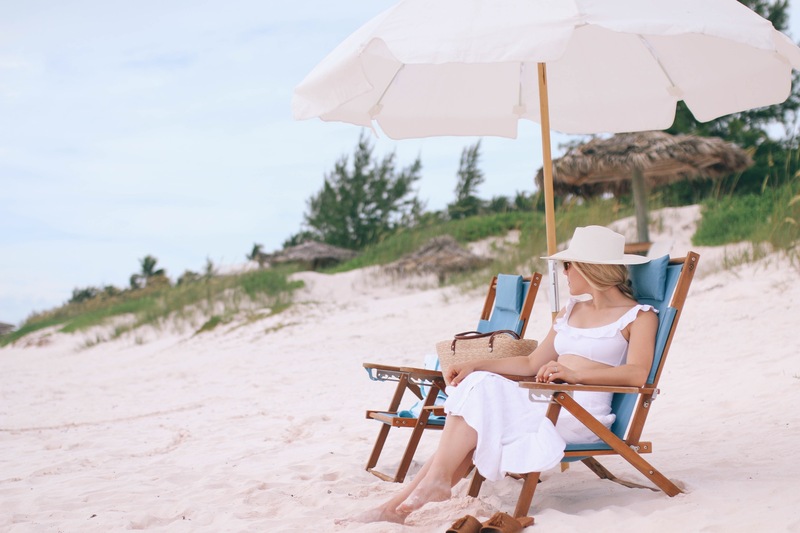 Getting There: Guests fly into North Eleuthera by way of Miami, Fort Lauderdale or Nassau and take a five-minute taxi ride to the dock, followed by a five-minute boat ride to Harbour Island. Also, a golf cart is a must for getting around the island, and should be booked as soon as hotel accommodations are reserved. 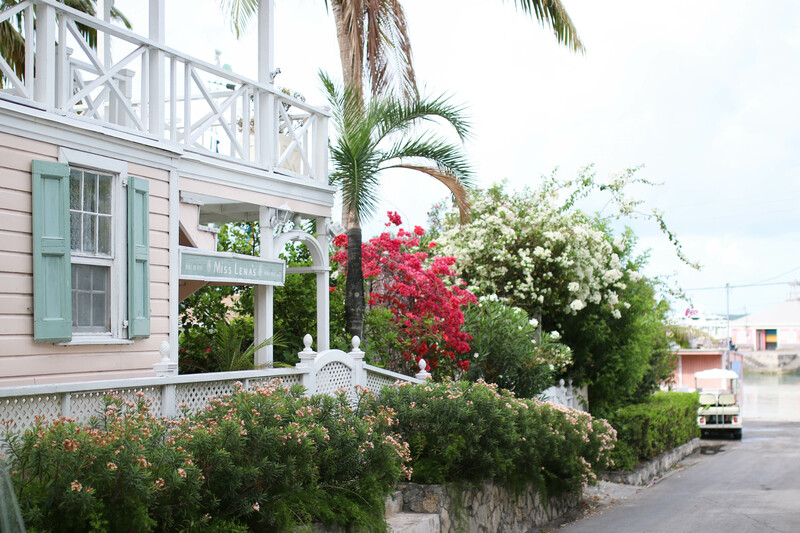 There are so many beautiful things to do and see on and around Harbour Island. 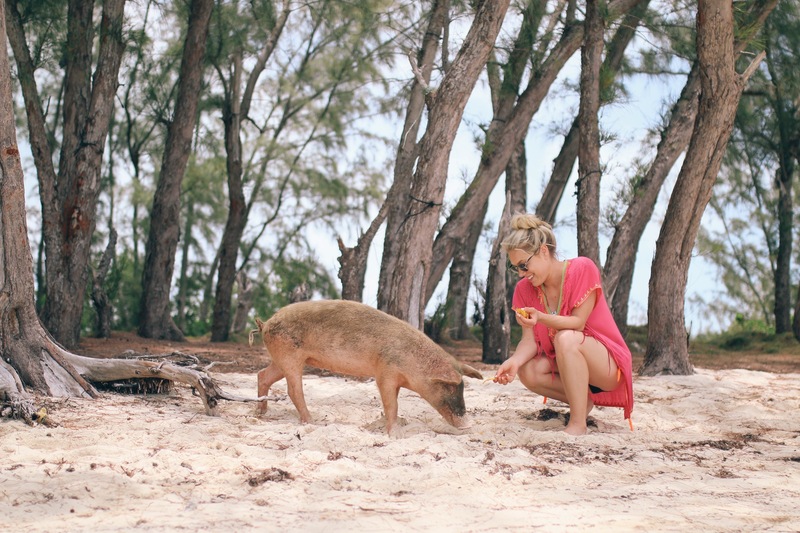 While there, we jumped off a 20-ft. rock into a ‘Blue Hole’, fed with water by the sea, we dove for conch and lobster that we later cooked on a nearby beach and had a little encounter with swimming pigs, who apparently share my love for Doritos. 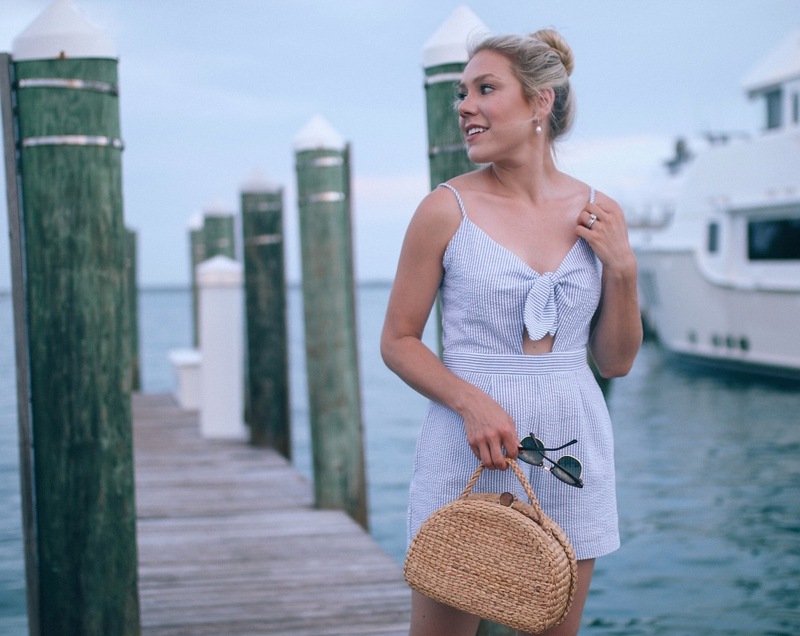 Wednesday I am sharing the second half of our stay on the island, and on Friday everything you need to know about Harbour Island – where to shop, explore, dine, stay and play! I wanted to first share each of the properties in dedicated blog posts, as they were vastly different from one another, and hopefully answer many of the questions I received throughout the week of our trip. 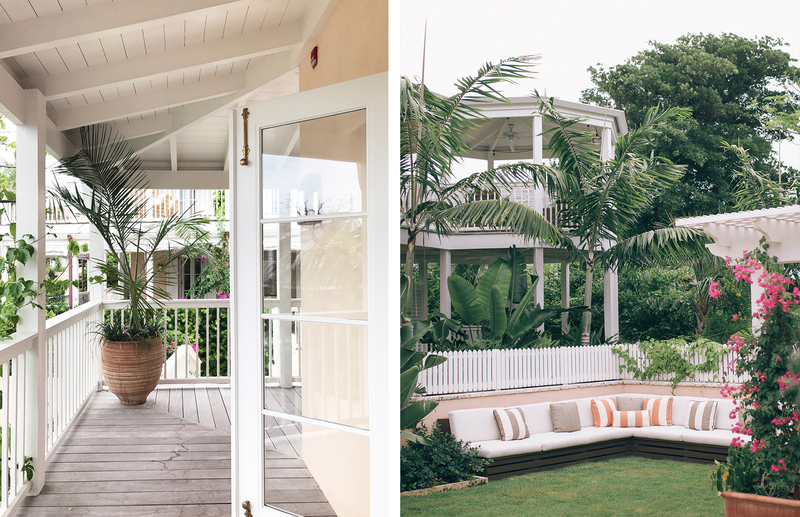 Update: I’ve linked The Dunmore hotel review HERE, and my Harbour Island review HERE.